This game is currently one-man project. For more info check game's forum or to get the latest news there are Twitter or Facebook pages. After some time, next update is here. For purposes of the future alpha version, I have decided to focus on creating new locations and story. With that, new enemies became one of the neccessary things that had to be added. So here it is! 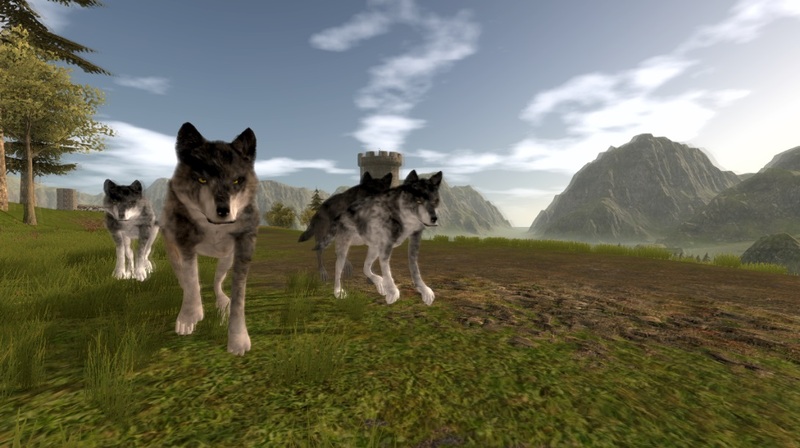 Wolves on brand new map with bit improved graphics, thanks to Unity 5's atmospheric scattering and cinematic image-effects! For better introduction of these new fluffy enemies, I have decided to record new video. Hey , Can i Download this game ???? Pls! :D love it , greate Job. Where can you get the game? Looks great can't wait to play it. Cant believe a single person is making this game! Hello, sorry for delayed reply. Well, I can't tell final system requirements, since the game is still unfinished. Whoa-ho-ho this game won't be very resource intensive at all! Whoa AWESOME Progress man! definitely worth my track.